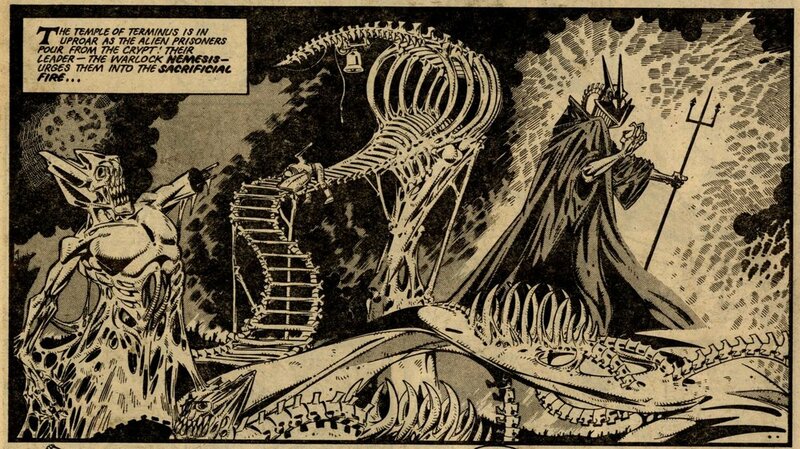 Into the eye of Khaos: Nemesis the Warlock leads an alien prison break. I still find it astonishing that what was for many a throwaway kids’ comic was graced with such amazing artwork (by Kevin O’Neill). We were blessed. 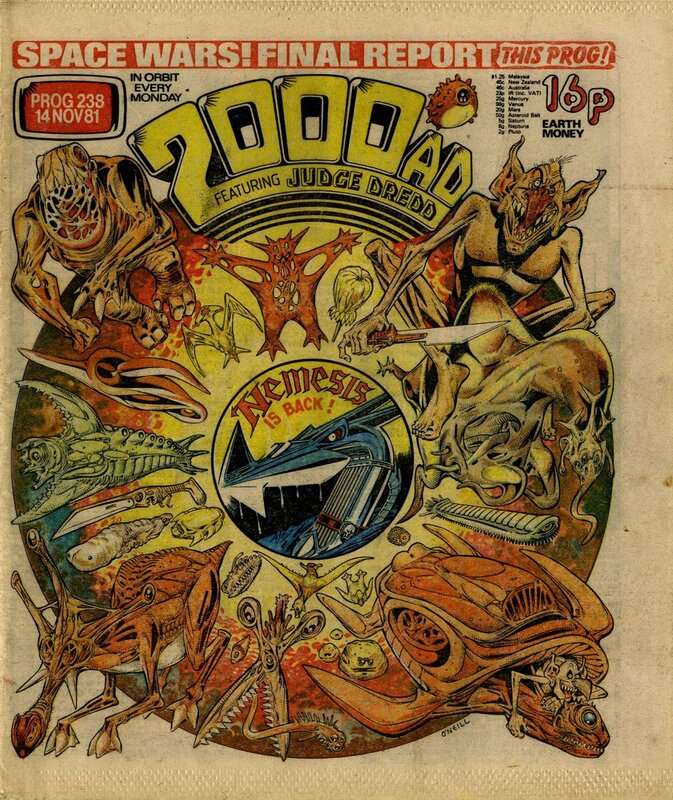 This issue saw the resumption of Book 1 of Nemesis after a four-week absence from the prog. Wonderfully imaginative characterisation and universe-building by Pat Mills, vividly realised by O’Neill.